Some lucky Venezuelan shoppers got soldier-enforced 70 pct discounts this week until shelves emptied. Now President Maduro has decreed a cap on retailer profit margins and a new commission to ration dollars. Shortages and inflation will persist – but the money won’t run out soon. 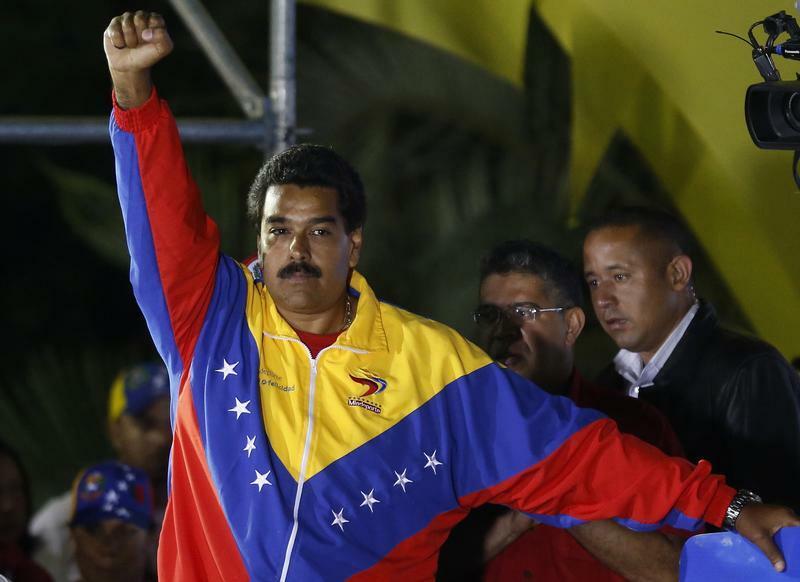 Venezuelan President Nicolas Maduro, who was granted the power to rule by decree for one year by the Venezuelan Congress on Nov. 19, announced the following day that he would decree two economic laws on Nov. 21. One law would limit businesses’ profit margins to between 15 and 30 percent, while the other would create a central body to oversee allocations of dollars at the official rate of 6.30 bolivars, compared to the black market rate of more than nine times that. Economic policy is the principal issue in a round of mayoral elections due on Dec. 8. Venezuelan prices rose at 5.1 percent in October, putting the official inflation rate at 54.3 percent year-on-year.